A fun way to say "I'm Sorry!" We live in a busy, stressful world and disagreements and arguments happen - to everyone! Gathering all of your courage and words to apologize can be a challenge. So, we've made it a little easier! Today, we have a fast, fun way to let your spouse know how sorry you feel and put a little smile on their face at the same time. 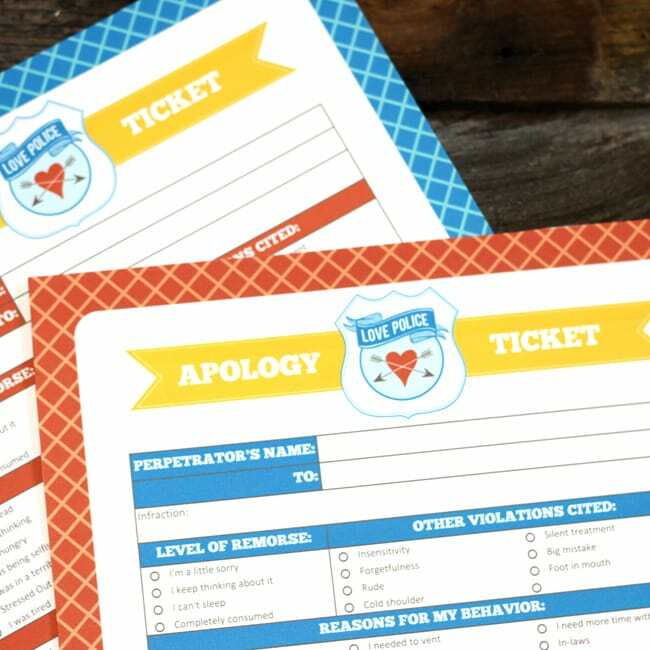 You've been cited by the LOVE POLICE and now it's time to pay your TICKET!